Talking about the Kadazan ethnic, you will definitely think of Penampang! It is a district where most of the Kadazan people reside in Sabah. As a Kadazan myself, it is quite impressive to see how my own ethnic is growing fast in the Food business industry. Local owned cafes and restaurants are now seen in most areas in Penampang and they mostly serve foods of their own delicious recipes. A couple of days ago, I got to meet up with the owner of Kg Bahang’s Roadside Café, Murray D. Lanjuat. He is a music graduate and plays the guitar in his rock band called Ovtfall (Outfall). Over the years, he has always been involving himself in the F&B industry. He worked as a restaurant manager in Kenny Rogers, which gave him the experience in handling foods and events. 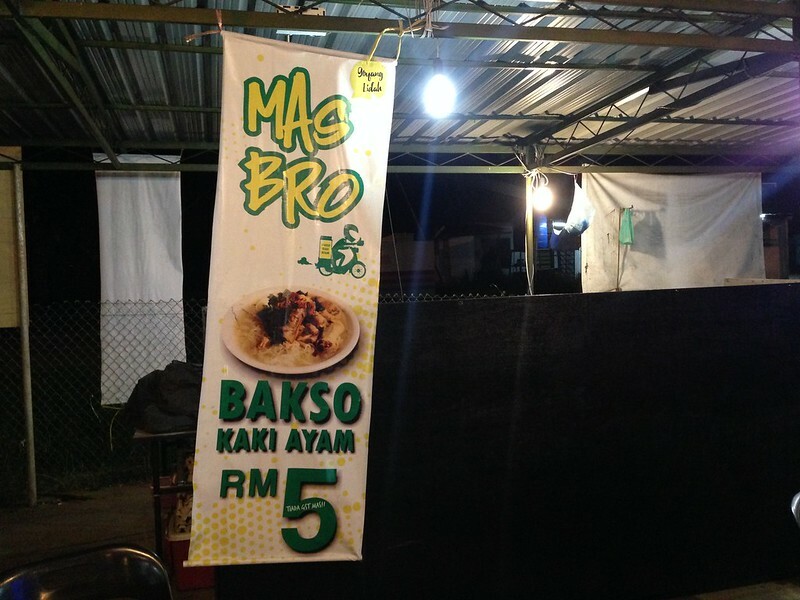 He then decided to open up his own café, Kg Bahang Roadside Café, itself. 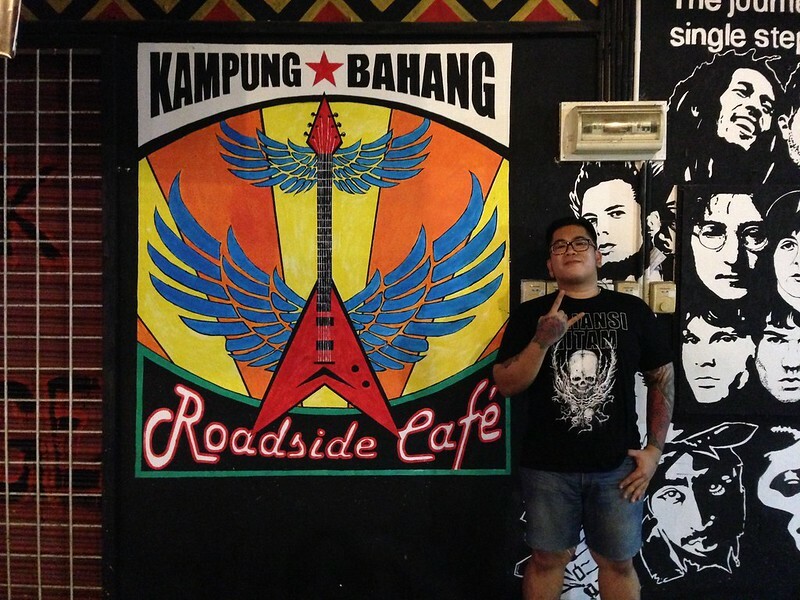 The Café is located at Kg Bahang, Penampang and it is quite easy to locate. If you are from the area, there won’t be any difficulties in locating the café. But if you are not from the area, don’t worry as you can easily find it in the Google Map. Murray has always wanted a bistro of his own, so he decided to build his own bistro-inspired cafe just outside his front door and he pretty much nailed it. 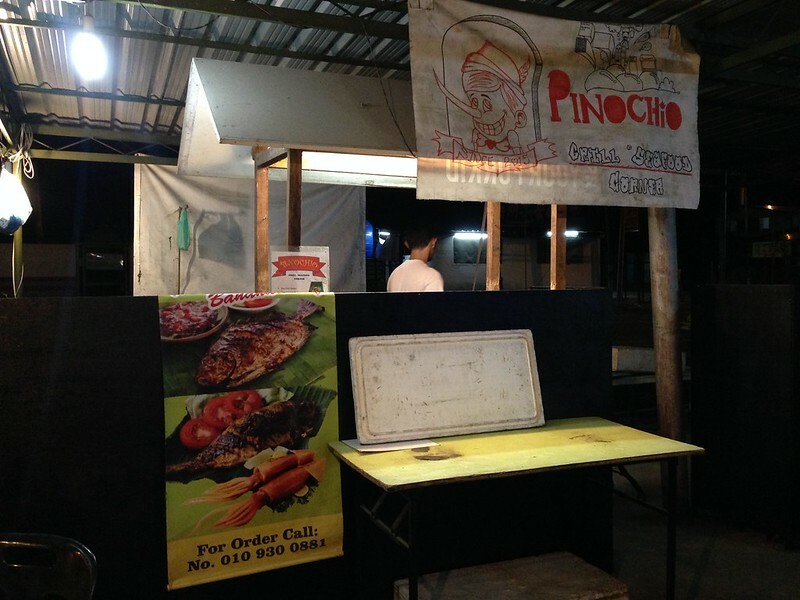 He started his business in selling drinks and cooked his own home-made burger. Over the times, he started calling in vendors to make the place merrier. 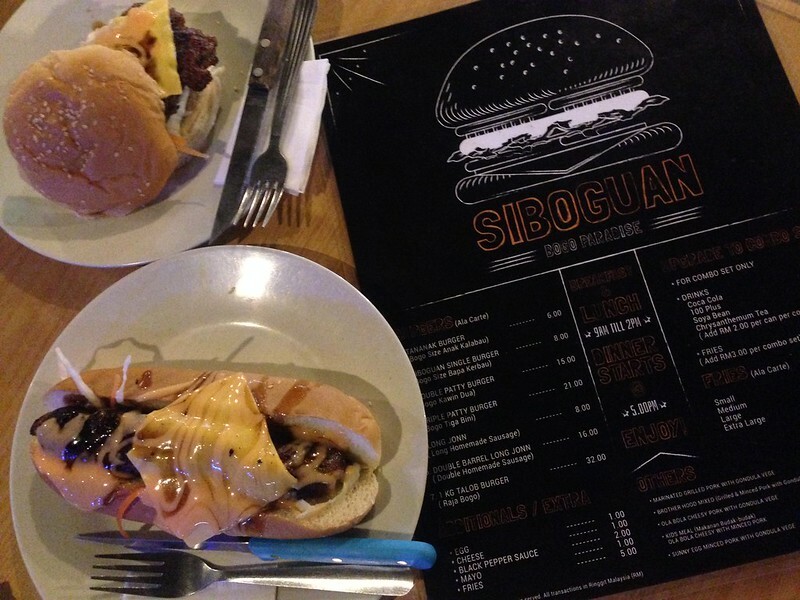 A couple of tenants are now cooking up the place such as Mas Bro bakso kaki ayam, Pinochio Grill seafood corner and two main kitchens which are the Uncle Chau’s Kitchen selling bak kut teh and Siboguan stall selling pork burger. He then decided to focus mainly on selling drinks while the tenants are selling foods. The best thing about the café is that the choices of foods that you can get there are a perfect match for ‘moginum’ (drinking session) with friends. 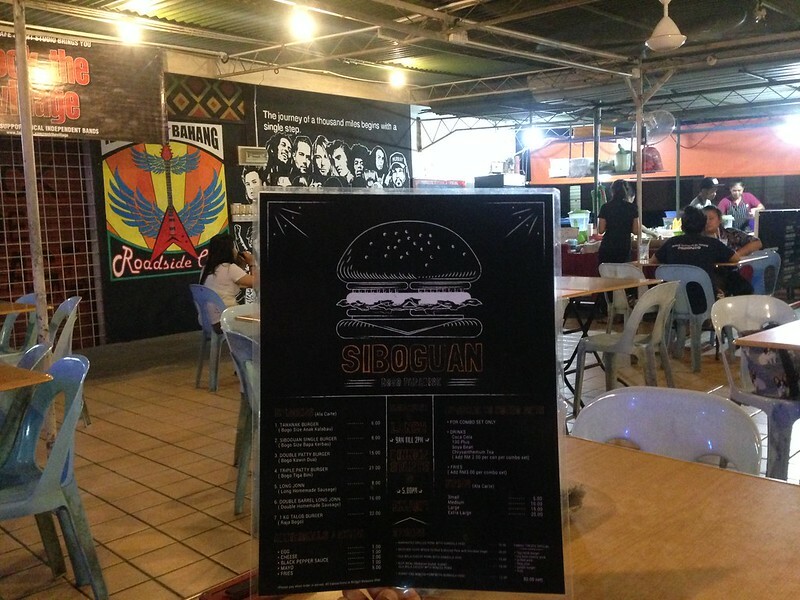 They got the scrumptious pork burger going on, served-hot bak kut teh, ikan panggang with sambal and flavourful bakso. Nothing could beat all those ‘pusas’ with a couple of cold beers. The pork burger and Long Jonn is filled with juicy goodness and they marinated the meat themselves with their own secret recipe. The meat tasted so flavourful that it makes you want to go for another plate. They also serve a 1kg burger full of meat and juiciness! 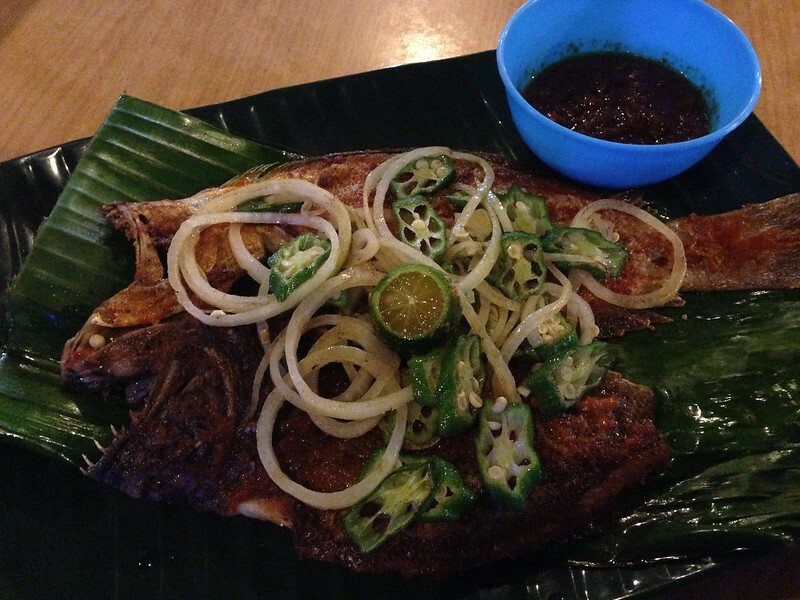 Besides that, the panggang-panggang is outstandingly appetizing especially the ikan bakar with sambal and asam limau. Just the thought of it makes me drool. In the café, Murray emphasises on the facilities, service and cleanliness. For facilities, there is a huge parking lot in the area that is convenient for the customers so that they don’t have to worry about not knowing where to park their car, especially at the kampong area. Besides that, a high-speed Wi-Fi is installed at the café for the millennial customers to enjoy browsing through the net while having their meals and drinks. For service, Murray himself will greet and serve the customer with his bubbly personality and warm hospitality. You will definitely feel welcome and comfortable. To me, it is important to feel cosy and relaxed at a diner so that I am able to enjoy my food even better. As for the cleanliness, the area is kept shiny and spotless. The tenants too kept their area clean. 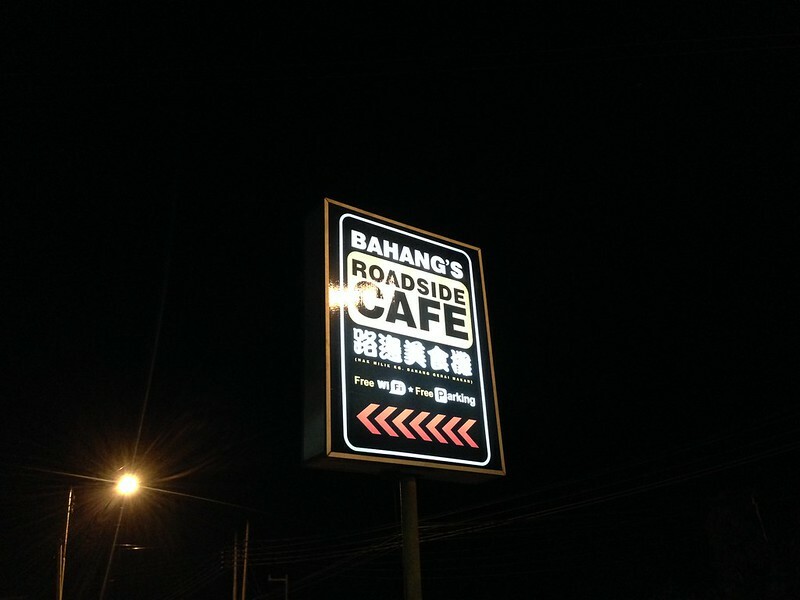 Overall, the experience I had at Kg Bahang Roadside Café is brilliant. The service is top-notch warm and friendly, the area is clean and chill, and most of all, the foods are incredibly authentic and scrumptious! Also, as a music lover and a food lover at the same time, you can enjoy both music and food simultaneously at the café. It is definitely the best of both worlds!